Take that case off, Pixel XL 2. Evan Blass delivers yet again, this time with an unobstructed view of the XL sequel and even the smaller Pixel 2. 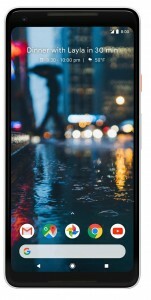 You can see what we suspected from previous leaks – the Pixel XL 2 will have slim bezels (though we wouldn’t go as far as calling it bezel-less) while the Pixel 2 will have chunky bezels, unbecoming of an expensive flagship. 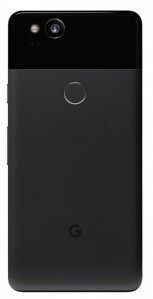 You can probably tell by the image, the Pixel XL 2 has a 6” with 18:9 aspect ratio and QHD+ resolution. 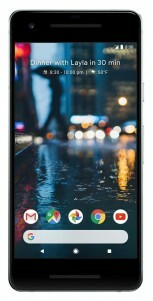 The 5” Pixel 2 will stick to regular 1080p. Both Pixels get front-firing stereo speakers around their screens. Additional specs you can expect are Snapdragon 835, 4GB of RAM and 64GB/128GB storage. 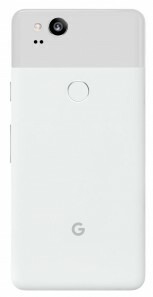 The single cam on the back will have 12MP resolution. 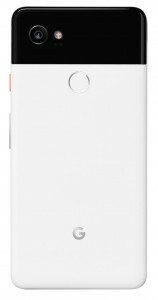 The prices will be comparable to the iPhones – the smaller Pixel 2 will cost $650/$750 (depending on storage) while the larger XL 2 will be $850/$950. Reportedly, the larger model will go on sale on November 15 while the smaller one will join it on the 19th.